Cancelled a trip due to the forecasted wind event. I was up and no wind early, but new it was coming. 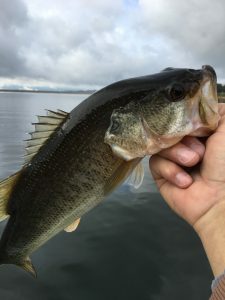 I was out for 45 minutes had 5 bites and hooked 3 bass, I stayed close to center point so I could see when the wind started to blow Northwest, and as soon as it started I headed in and got the boat on the trailer just as it got ugly. Wind forecast for the next couple days, be safe out there. Good conditions on Friday, pre-spawn and staging fish, plus a spoon fed striper. Good day at Upper Castaic, Bass are moving up on beds… few of the fish from today. 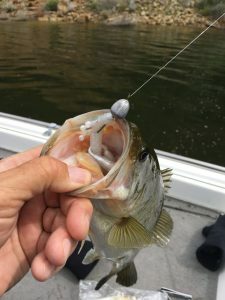 Stripers are hitting reaction baits and bigger swim-baits are starting to pull up some larger models of fish, just have to stick with it if you want that trophy fish. 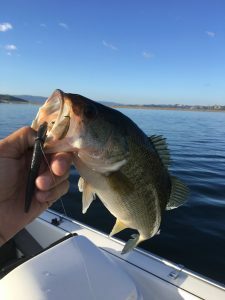 Bass fishing is also picking up, crawdads and plastics and reaction baits are working. We still have storms running though so the wind can be a issue but it can still be fishable. The lake is full and when they are pumping water the fish turn on, Pyramid hasn’t been affected by the drought. Trout Plant next week could get the big fish up. 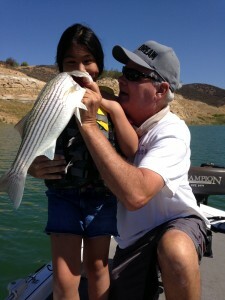 My niece and Bro-in-law got into some jailbird action right away with Frankie hooking up on a Lil swim bait. 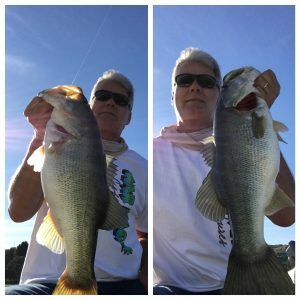 Dave stuck with the top water and nailed a few off the boils. Time to hit the lake while the top water action is hot. 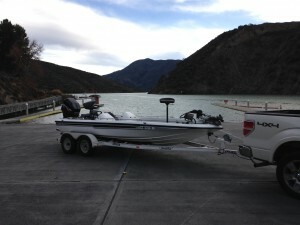 Great day out on Castaic Lake today! Debris area around the launch ramp has cleared up, weather was in the 70’s and the the striped bass were biting the trolled umbrella rigs. 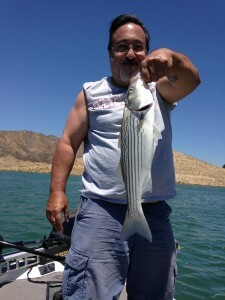 I took out my friend Dave out for his birthday and we had a half day of relax fishing, trolling the lake for alot of fun. 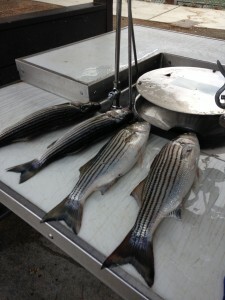 We caught 14 striped bass in the 2 to 4 lb class, released all. 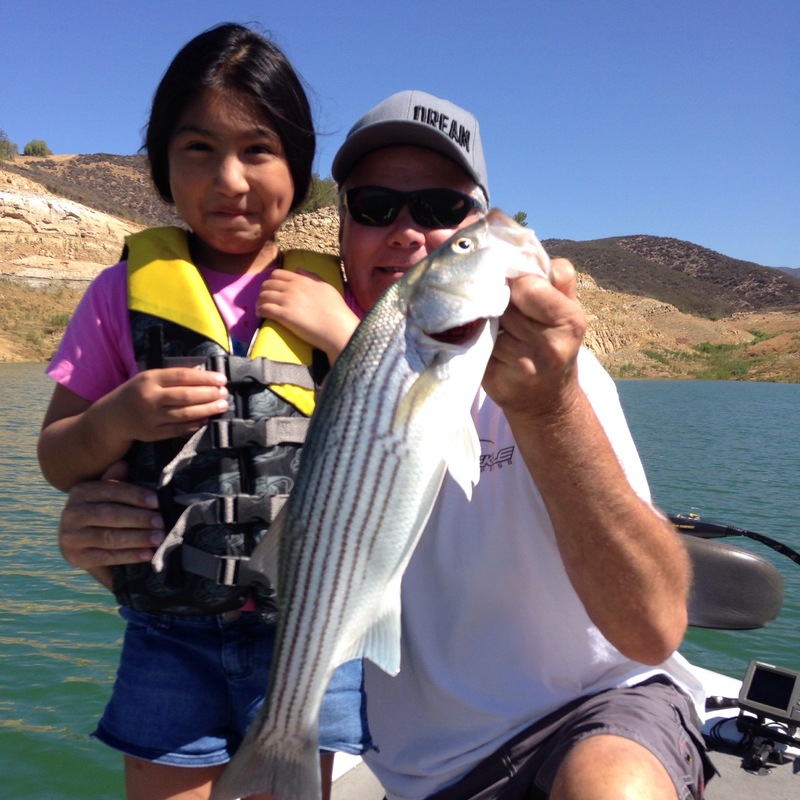 Practice fishing for the Friends of Lake Castaic Striper Derby on Jan. 31. 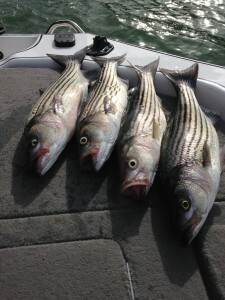 If you’re looking for a enjoyable day out on the water and to bring home some tasty striped bass or want some instructional tips for the striper derby, give me a call. Let’s get you out on the water! 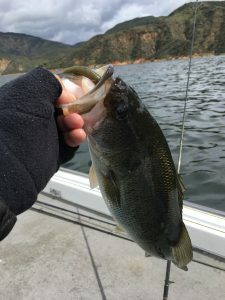 Pyramid lake was full to the brim, muddy, and the bulk of the bait was gone just a few silver sides around. I went back into Yellow Bar and must have flushed some bait out because this got some fish worked up. Had a white hair jig tied on with 12lb on and spinning rod and caught 4 using a rip-jerk. 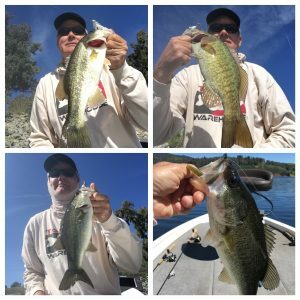 All the fish were in the 4 to 6 lb range. It was a fun 20 minutes. 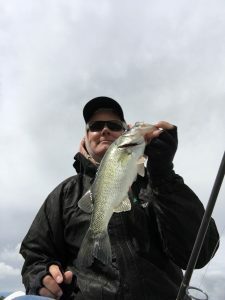 Looked around the lake a bit, fish are still around but the cold front gave them lockjaw, tossed the punker for a good while but no action, called it a early day.